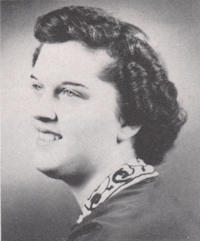 Obituary – Doggett, Janice Kay (Adams) « Perry High School Alumni Association, Inc.
Red Hots 52-54, Library 54-55. 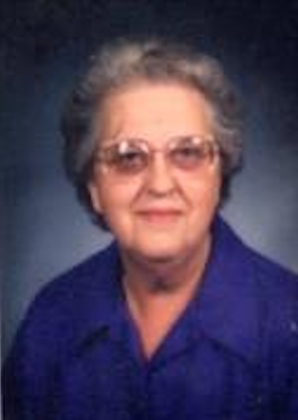 Janice Kay Doggett, 77, Perry, passed away Friday, October 2, 2015 at Green Valley Nursing Home. Services have been entrusted to Palmer Marler Funeral Home of Perry. Graveside services will be held at 10 a.m. Tuesday, October 6, 2015 at Grace Hill Cemetery. Family visitation will be held from 6 p.m. to 8 p.m. on Monday evening, October 5, 2015. She was the daughter of William “Bill” and Mary (Nida) Adams and was born in Lucien, Oklahoma on November 12, 1937. Janice grew up in Lucien and Perry and was a 1955 graduate of Perry High School. On January 4, 1963, she and Harold Doggett were married at the First Christian Church in Perry. Janice was a caregiver for her mother for twenty years. She worked as a custodian at Perry Elementary School for over twenty years and enjoyed going to the farm with her husband. She was a member of the First Christian Church in Perry. Janice loved taking care of her family and was happiest staying at home. She enjoyed growing flowers, reading and completing word search puzzles. In addition to her husband, Harold, of the home, Janice is survived by two daughters, Anna Whitney, Stillwater, Oklahoma, and Susan Henderson and her husband, Bruce, Perry, Oklahoma; one sister, Marilyn Seeliger, formerly of Perry, Oklahoma, now a resident of Florida; one brother, Max Adams, and his wife, Sherry, Stillwater, Oklahoma; one granddaughter, Taylor Whitney, Stillwater, Oklahoma; one step-granddaughter, Chapelle White, her husband, Curtis, and their children, Jade and Kelby, Perry, Oklahoma; nephews, Jeff Seeliger, his wife Charla and family; Eric Seeliger, his wife Beth and family; Scott Adams and family, along with numerous cousins. She was preceded in death by her parents, Bill and Mary Adams; one brother, John Adams; and two brother-in-laws, Clair Seeliger and Johnny Doggett; nephews Dave Doggett and Chris Doggett. Memorials may be made to the First Christian Church in care of Palmer Marler Funeral Home and may be taken in person to 203 East Fir Ave. in Perry or mailed to P.O. Box 189, Perry, OK 73077.